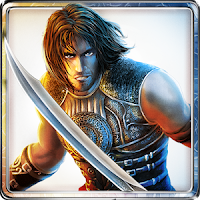 Prince of Persia Shadow & Flame (v1.0) — Mobers.ORG — Your Daily Source For Mobile FUN! The rebirth of the legendary action-platformer, with brand-new visuals and controls redesigned to fit your device. Set after the events of Prince of Persia Classic, Prince of Persia The Shadow and the Flame continues the saga of the wanderer who was born a Prince. Now he must embark on an epic journey in search of his past that will redefine his future!